We source material directly from industry leading farmers. We're proud of their sustainable methods, top quality processes, licensed facilities and regulatory compliance. We use an ethanol based extraction process that produces a clean, golden oil, that typically tests around 85%-90% THC. We use natural terpenes extracted from plants to flavor our oils and deliver a consistent experience. Our formulations are designed for specific experiences and desired results. 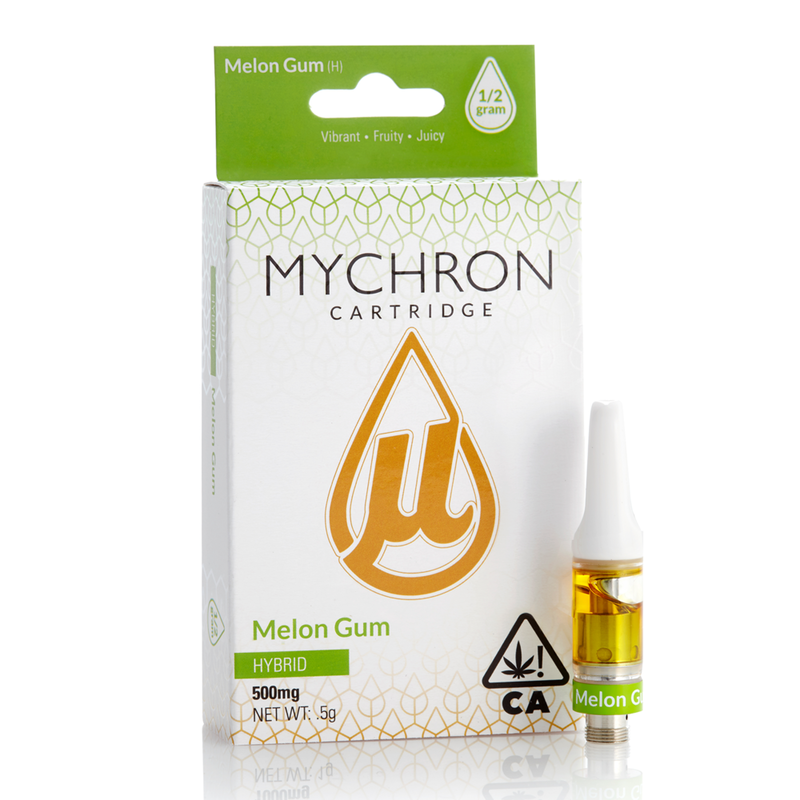 Our product is delivered exclusively on the CCELL platform. We engage with our users by working with artists and musicians to curate unique experiences and events. We understand each retail outlet and buyer face different challenges, so we work hard to create unique value and think of our buyers as partners. Budtenders are on the front lines of customer service, and are incredibly influential in purchase decisions. We work with them to ensure they’re knowledgable about our product, and motivated to tell our story. All of our products are verified on Weedmaps, so you can easily add them to your menu. Our brand marketing team is passionate about introducing our products to your customers, and working with your team to bring Mychron to life at your retail establishment. Our entire menu is available 24/7 on LeafLink, and we maintain a regular delivery schedule across California. Light and uplifting, these flavors are great to get you going. A solid set to keep you focused. Dive into the depths of a rich and flavorful concoction erupting with fruity cherries, lemons, and limes, accompanied by powerful overtones of grapes, grapes and more grapes. Cozy up and tranquilize under the weighted comfort of a velvety body that melts away stress and tension with a subtle sedation and dreamy headspace. Our custom designed CCELL battery comes in pearl white with our webbing pattern overlaid with a spot UV finish. Please enter desired quantity for each flavor and size. We'll send you an invoice within 12 hours to confirm your order and delivery details. Thanks again!